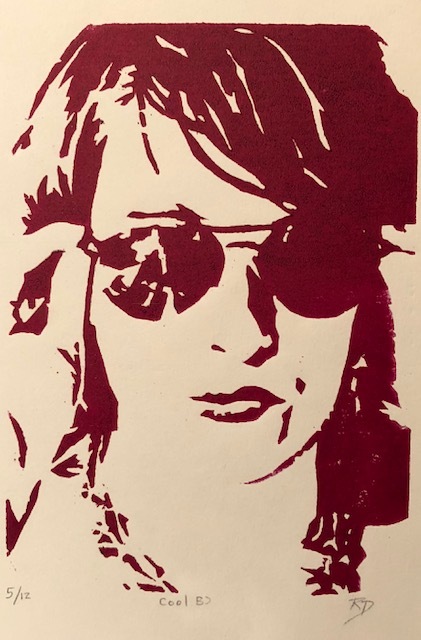 This is an original woodcut print, made by carving the mirror image out of wood then inking up the block and printing a small edition. This print is #5 out of 12, the only remaining print available for sale. “Cool” brings a human face to the over-used emoji we have grown accustomed to. 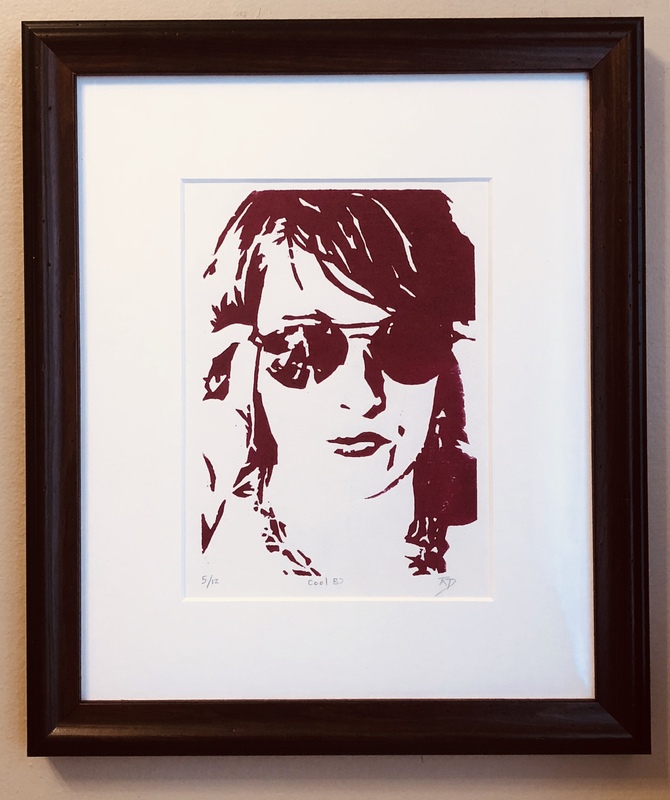 Image is 5×7″ with 1/4″ signed, numbered and titled area.Matted with a mat that matches the paper color and framed in a burgundy wooden frame with dust-proof backing and hanging wire.